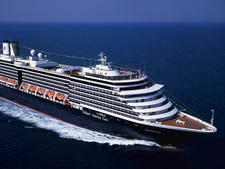 Koningsdam is the first new Holland America Line ship in eight years. 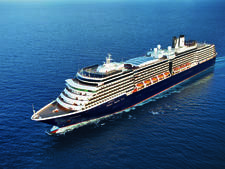 "Koning" means "king" in Dutch, and the ship is aptly named: It's the biggest, most technologically advanced and most luxurious Holland America Line ship ever built. 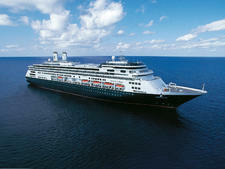 Koningsdam heralds both a new class (Pinnacle) and a new era for HAL. The ship feels luxurious, with thick carpets, leather chairs and lots of expensive artwork adorning the walls and in the public spaces. The ship is music-themed throughout, and you'll spot prints, paintings and sculptures of pop stars, musicians and instruments almost everywhere you turn. You may also notice a few familiar design traits, if you have traveled with Celebrity (they share the same designer, Adam D. Tihany) -- not least in the stunning Dining Room, with a soaring wine tower as its centerpiece. 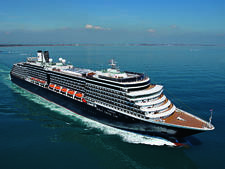 Koningsdam is aimed squarely at an "upper premium" clientele: discerning, wealthy and happy to pay for the things they enjoy in life, such as a good bottle of wine or a favorite whiskey. Cabins and public areas feel like a high-end hotel, the entertainment is slick and polished and the food is some of the finest we've tasted onboard a cruise ship. The ship takes some of the best features from the rest of the fleet -- such as the Culinary Arts Center, music tie-ups, exclusive adults-only area and outstanding specialty restaurants -- and enhances them, by making them bigger, such as the double-deck lido, or adding more options, such as adding a dinner component to the Culinary Arts Center or creating Lincoln Center and Billboard Onboard music venues to join the B.B. King Blues Club. 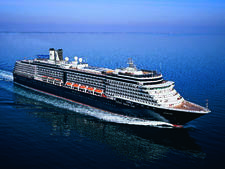 But significantly, Koningsdam also sees the debut of a number of new features. 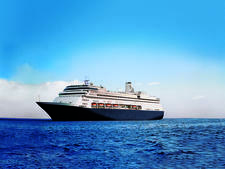 These include a French-style brasserie; a double-deck, glass-roofed Lido Deck, where evening movies are screened; a huge theater with a giant surround screen; a partnership with a venerable Washington State winery; and the line's first family cabins and solo cabins, all of which fit seamlessly into the HAL brand. 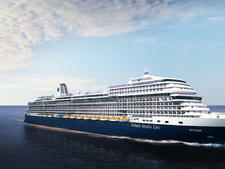 Somehow the designers have pulled off a remarkable feat, creating a ship that's different from the line's older vessels but still feels familiar to past passengers. 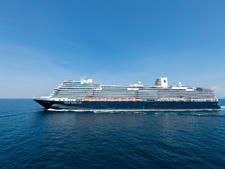 With this mix, Holland America fans will certainly be pleased with the new ship, while a new generation of cruisers -- who expect more choice in dining, variety in entertainment and a modern look, feel and atmosphere -- have plenty of reasons to take a chance on Koningsdam. 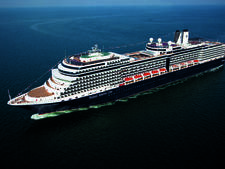 Your typical passenger on Koningsdam will vary depending on where the ship is based. 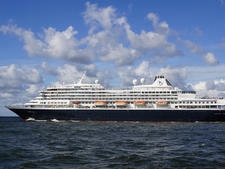 When it sails from Amsterdam, passengers will skew toward European, but with Americans and Australians making up a sizable chunk. 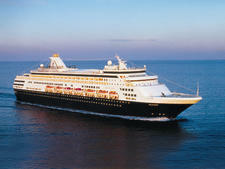 When the ship is based in Fort Lauderdale, expect the majority of passengers to be North American. 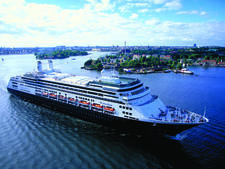 Holland America has a reputation for attracting more mature passengers (65-plus), who are well traveled and well off, but the average age drops during European and U.S. vacation periods. 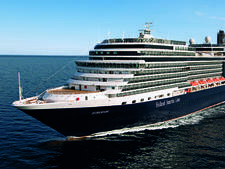 Families are expected to make a strong showing on Koningsdam. During the summer, expect as many as 300 kids onboard of varying ages -- which is a sizable chunk for HAL ships. Announcements are in English and Dutch. Cruise Critic’s professional photographers and our extraordinary community members have taken 2,031 pictures of Holland America Koningsdam. When you visit our photo galleries, you can be assured that what you see is what you get. 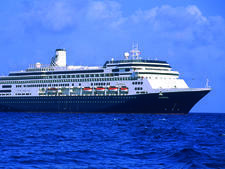 Holland America passengers like to dress up, certainly on formal nights, and there are two of those per seven-night cruise. A tux and a long gown are not obligatory, but you certainly would not be out of place with them. A jacket and tie and a cocktail dress or nice pantsuit would be regarded as the minimum. Outside of these times, the dress is resort casual during the day, with a shirt and pants for the evening, and a dress for the ladies or an elegant skirt -- though this is not enforced. Very informal gear, such as jeans, shorts and flip-flops, is appropriate for outer decks but not for restaurants. 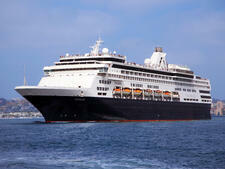 The automatic tip for passengers staying in interior, oceanview and verandah cabins is $14.50 per person, per day. Passengers in suites are charged $16 per person, per day.